Common Movie Poster Frame Sizes. Many Colors Available. Click link and scroll down. Looking to frame those great Art Prints you have just laying around? Here are some of the most popular Art Print Frame Sizes.These frames provide great protection for your prints using our acid free overlays with UV protective properties. Don't see the frame size you need on our site? No problem, we can custom cut any size frame you need!!! Just contact us and we will give you a quote same day!!! Really excited to say we have been featured in Home Theater Magazine's Feb/March 2013 issue. 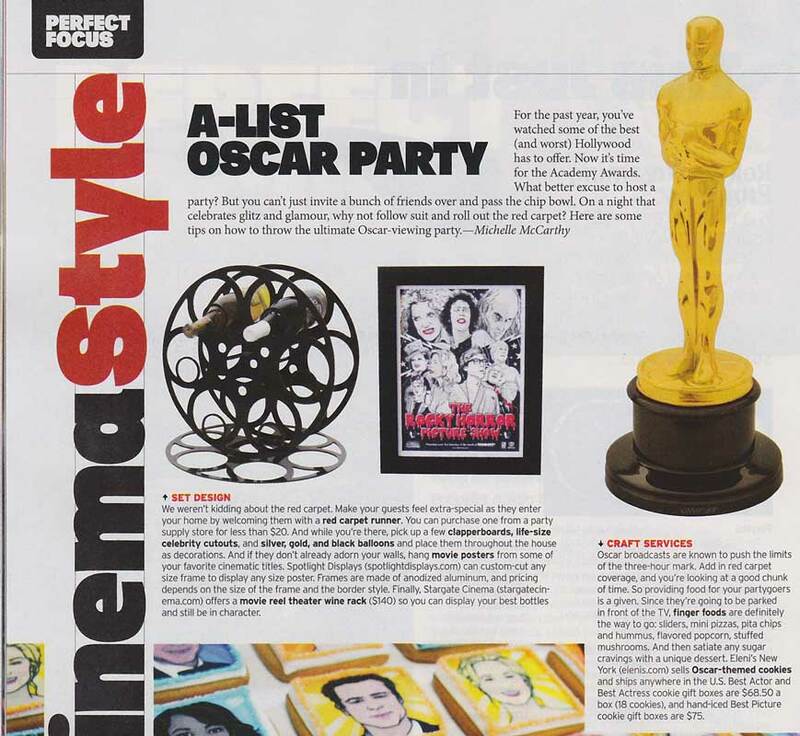 Page 18 Article: "A-List Oscar Party! Whether you are a collector looking to frame your prized poster or a company looking to display advertising, we can accommodate anyones needs. 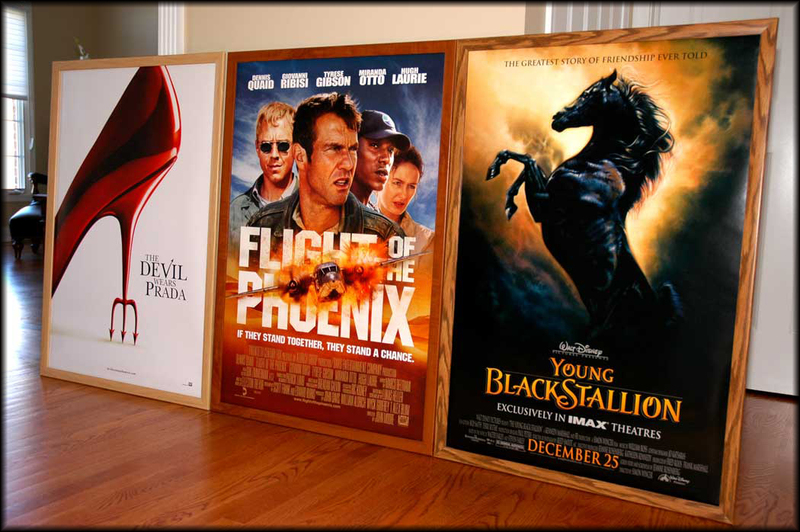 We can custom cut frames for any size movie poster or graphic you can think of, from bus shelter sized posters to 27x40 posters.You can display anything you like in these frames; Movie Posters, Music Posters, Pictures, Art Prints, Advertising and more. 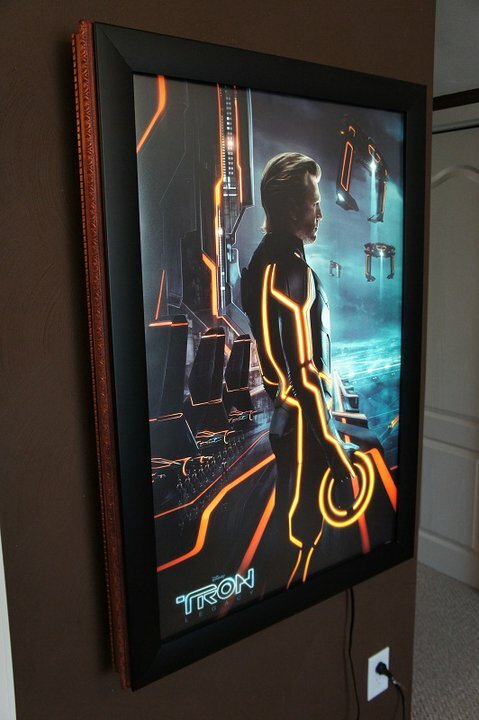 Looking for a Light box, here is a great guild to make one using our frames: Movie Poster Light Box. Look what one of our customers did with a movie poster frame purchased from Spotlight Displays, he made a Light Box out of it. Amazing!